Differentials rebuilt, new, used, parts, sales, service and repair in stock all makes and models. E Pro Gear Offers a full line of new, used and rebuilt Truck differentials. We stock semi truck parts from all manufacturers on the market today. We also offer differential rebuild kits, ring and pinion sets and any other part you may need at discount prices. We can remove and rebuild or repair your existing unit on site in our state of the art shop or ship your new, used or rebuilt unit World wide today. Our parts department carries every conceivable part you could possibly need as well as hard to find parts and out of date items. 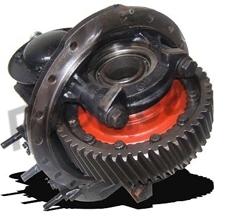 We can locate any part for any differential ever made. Let E Pro Gear be your one stop shop for any and all your Big Rig differential, transmission or gear needs. We want to earn your business and will help you in any way we possibly can. Shipping is same day and World wide. Rockwell Rear Diff SQHD SQHP SQAR SQ100 SSHD RT40-145 Series RR20-145 RR20145 RRL20-145 RRL20145 RT46-160 Series RR23-160 RR23160 RRL23-160 RRL23160 Rockwell Single Speed F106 R170 RS20-145 RS20145 RS23-160 RS23160 Rockwell Two Speed RS15-210 RS15210 RS17-220 RS17220 RS21-230 RS21230 NBSP.